LYNBROOK, Long Island (WABC) -- Police arrested a man and a woman from Brooklyn Friday, accused of lying about raising money for a child's funeral in order to steal cash. Brittney Schmidt, 30, and Vincent Fina, 29, are charged with scheme to defraud and endangering the welfare of a child. According to the Nassau County Police Department, on Feb. 21, Schmidt, Fina and their young son, went into several businesses on Merrick Road in Lynbrook. When asked about their visits, they said they were collecting donations for a funeral for a child who had died, police said. The NCPD said they determined that the boy the suspects said they were collecting the money for, had not died. 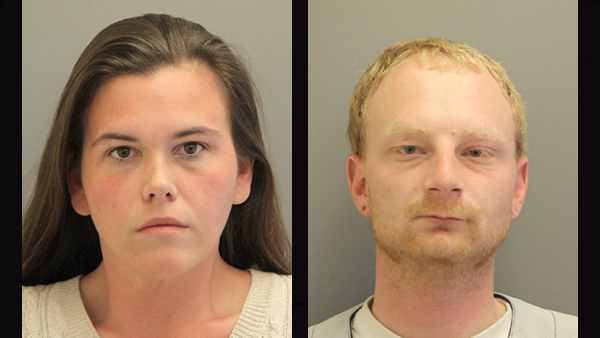 Schmidt and Fina were arrested Friday evening at their home. They are scheduled for arraignment Saturday in Hempstead. Anyone who may be a victim in a similar scheme is asked to call their local precinct.